Exercise is regarded by many as the magic pill. It’s effect on health, mood, disease and well-being are incomparable to any other therapy. Simply moving your body can improve memory, concentration, energy, circulation, pain, depression, insomnia, libido, stamina and can rock your body. Any of these benefits sound good to you? In clinical studies, exercise has been shown to improve: Memory, cognitive function, reactive time and alertness. If Grandma stops her daily walk and swim, a noticeable change in her mental alertness and cognitive function will occur-you’re no different. Stress – provide a physical stress to your body that is just beyond what you are capable of doing. Rest – allow your body to positively adapt. Simple eh? Swear on my Manolo Blahniks folks, this is it! Everything else you’ve read regarding exercise is classified into one of these three categories (with a lot of finer details within each). Human are extremely adaptive, this process is initiated by a stressor. Cavemen, our bare backed, fur wearing, meat hunting friends; avoided being eaten by larger prey by developing a way to be faster (so they could run away), stronger (to climb trees) and smarter (to avoid crossing paths with these predators in the future). The key to their adaptation and ultimately, their survival was STRESS. Stress is required for a species to adapt. Natural selection is really just that. We select the traits that allow us to survive a stress, whether it be a new climate, a new diet or a fast angry predator. #1 (a) Progressive stress-what was sufficient yesterday isnt enough today. 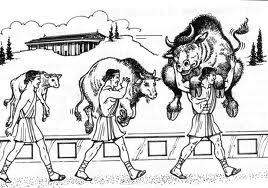 Milo’s fable represents the principal of progressive overload. A gradual increase in volume, frequency, intensity or time is required to produce a positive adaptation! Positive adaptations like less fat stores and increased muscle tone. The body will only spend what energy is absolutely necessary to get a job done. Say today you decide its zero to hero day and you’re gonna leave your sofa cruising, vampire diaries watching habbits behind (Good for you). Say you do really well and end up running 5 km and it takes a very respectable 30 minutes. During that run your body likely burnt about 1000 calories. Assuming you actually run again (lets be honest lots of us make it to one work out and give up again) if you continue to run 5km but in the same 30 minutes every time, your body will start to adapt to this workout and ultimately burn less and less calories (since it is now more efficient at said 5km run). What used to burn 1000 calories now burns 600 lets say by run number 10. HOWEVER, if you increase the volume of your run, like running 6km, or the intensity of your run (run the same 5km but in 20 min), or the duration/time of your run (running the intensity you ran for the first 5km but for 35 minutes instead of 30); you will continue to improve and get better. This is THE most prevalent problem for your average gym goer. You know that dude in the weight room who’s been doing the same weight routine with the same amount of weight for like every day and yet can’t figure out why his body isn’t changing? He doesn’t understand the concept of progressive loading, but now you DO! Ask yourself: Did I do better this time then last? If so then YAY you’re on the right track. If you have too much stress/yang and not enough rest/yin you will beat yourself up and tear your body down, although this seems beneficial in the short term, more calories burnt => more fat breakdown => more success, but in the long term it does the very opposite. We DO NOT make improvements to our body during our workouts but rather between them – during the rest period. You are not breaking down fat and increasing your metabolism during your kettle bell swings, but the alterations in your metabolism and the micro- repairs done to your damaged tissues while you are RESTING alters the physiology of your entire body and results in more lean body mass & less fat. The physical stress you place on your body with a workout gets the ball rolling; but in order to get more fit, more toned and better cardiovascular health-your body has to react to the stress and positively adapt so that it is better prepared to meet the demands of this stress when it comes across it again. Rest is key to progressive stress. Rest is why we can progressively lift heavier weights or run longer distances once we have conditioned our body to do so. What determines whether your hard work will pay off is the relative duration of the stress you place on your body to the rest and nourishment it then receives. You can gather then, that shorter, intense workouts are great because they provide a quick stress followed by rest (Consider 10 50m sprints, 45 kettle bell swings or 4 sets of 4 deadlifts). Long duration workouts put the body under distress, rather then adaptive stress. This increase in cortisol (from stress) and prolonged physical trauma ironically generates an INCREASE in fat storage and even a breakdown in lean muscle tissue. Similarly to prolonged work outs, work outs that are too frequent, prevent the body from adequately recovering as well. If you workout on Monday for example then perform another workout on Tuesday you are interrupting your body’s natural repair process which you will instinctively perceive as a distress. Follow your workouts up with periods of relaxation. Food and sleep are two of the best ways to make the most out of recovery time between workouts. Have a post workout drink with carbs and protein to start the recovery process as soon as possible. Take an adaptogen like ginseng to help your body cope. You now know how to adpatively stress your body, and you know how crucial allowing it to rest is to weight loss, building muscle and getting success, but the third and perhaps most difficult part to THE best and simplest work-out formula is Consistency. Consistency can be tough. We live in a world where we can get anything we want almost immediately – we somehow think this should carry over to building muscle or losing weight. Unfortunately, it is very difficult to lose the 50+lbs you have steadily gained over the course of 2-3 years in 8 weeks. For example: Farmers take the time to nurture their crops and don’t not frantically run around planting seeds and watering them like crazy two weeks before the date they need to harvest. However, in gyms everywhere, maybe even this very second you could go watch someone who hasnt exercised all year but who now can be seen training like a crazed animal during the two weeks that lead up to their trip down south. 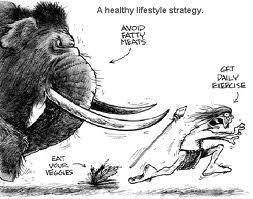 Health and fitness is a lifestyle choice ladies and gentlemen. A quick fix will not give you long-term results and quite frankly is very hard on your endocrine system, your metabolism and your health. But, long term, consistent exercise is guaranteed to improve your well-being, your health and your entire life. This entry was posted in Medicine and tagged depression, diabetes, exercise, fat, fitness, Health, healthy-living, heart, immune system health, Medicine, mental alertness, naturopath, naturopathic, strenght, stress, weight loss. Bookmark the permalink. G is for Gastrointestinal health! 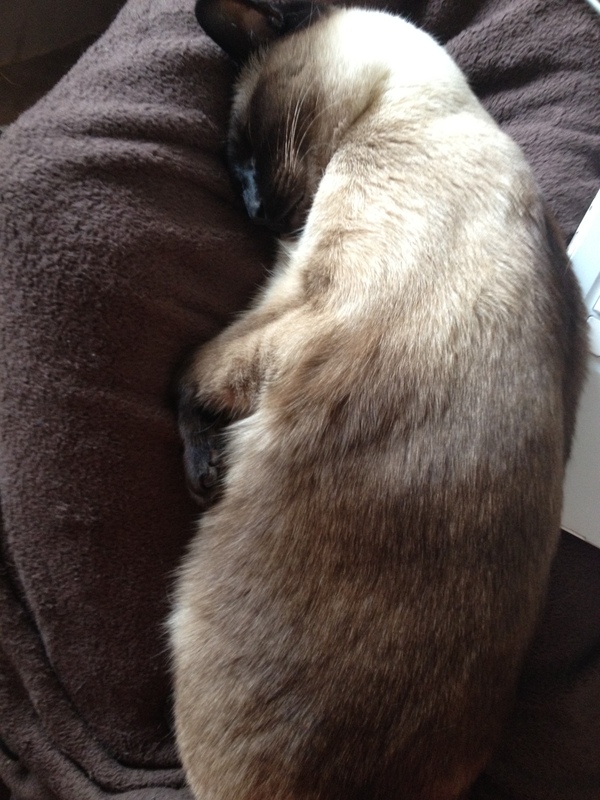 F is for fatty acid part 4: DHA, the membrane fat! F is for fatty acid part 3! EPA for the win! F is for fatty acid! A day in the life of a medical student….